5.1???? Notice of Motion - Forming of a Super Council ? 9.3???? Compulsory Acquisition of Lot 10 253771 and Lot 561 DP 1133897 - Old RTA Depot Site Nambucca Heads. 11.4?? Tender No T41011MNC Supply and Delivery of Bulk Cationic Rapid Setting Bitumen Emulsion ? 12.2?? Presentation of Flood Study Peer Review for the Pacific Highway Bypass of Macksville by the RTA (9.1 ) ?? Nambucca Shire Council start the progress of talking to other councils about forming a super council like Port Macquarie to Coffs Harbour with Kempsey, Nambucca and Bellingen in the middle. That Nambucca Shire Council start the progress of talking to other councils about forming a super council like Port Macquarie to Coffs Harbour with Kempsey, Nambucca and Bellingen in the middle. Report on land slips including Riverside Drive with costing and priorities for works program to Council in February 2011. Nothing heard from clubs ? deadline for response 17 January 2011. No response from Minister for Planning as at 10/1/11. See minutes in report 20/1/2011. Information not received.? Deferred to Feb 2011. Letter sent to school thanking the class.? Dept of Educ have commenced work. LPMA advised they would like to meet with the Mayor and General Manager to discuss the alternative master plan.? GM has advised that Council specifically resolved that the discussion be at a GPC meeting. Mayor and GM meeting with LPMA on 13/1/2011. Friday 28 Jan 2011 ? confirmed meeting date. Responses received from 2 of 3 Committees of Management. Program with Parks Supervisor but wet weather has intervened. Councillors be provided with a diagram of the existing River Street foreshore showing structures and vegetation. Survey completed.? To be report to February GPC. Council write to the Min. for Local Government & Opposition spokesperson seeking a monetary increase in the pensioner rebate to be jointly funded by the State Government & councils on the ratio of 70% to 30%. Provision of a further report early in the new year re way forward for mixed waste processing. That the Nambucca District Water Supply Newsletter be distributed to the wider community, including libraries, Council front counters and to the directly affected landholders. Council consider committing $40,000 to addressing the landslip (Ocean & Matthew Streets, Scotts Head) and receive a report on options for investigation including an onsite inspection and Council seek a quote from a geotechnical expert to provide a report on the work required to stabilise the slippage and an estimate of the cost. Council write to the RTA requesting formal advice about the statutory authority of the Local Development (Traffic) Committee, its terms of reference and its relationship with Council operations. Unkya Reserve ? matter be deferred to allow the Committee of Management to conduct a planning workshop that includes any interested existing and future user groups or individuals to determine a shared use arrangement. Council put forward a motion to the ?A? Division Conference seeking State Government & Opposition support for local government obtaining an improved share of total taxation revenue and further that the ?A? Division encourage other Divisions to do likewise. The Local Government (State) Award 2010 was approved by the Industrial Relations Commission of New South Wales on 28 October 2010 and is operative from 1 November 2010 for a nominal term of three years. That Council note that the Industrial Relations Commission of NSW has ratified the Local Government (State) Award 2010. Not applicable as Council must comply with the terms and conditions of employment stipulated in the Award including rates of pay. NSW councils are covered by the terms and conditions of the Local Government (State) Award 2010 and the Local Government (State) Electricians Award. Notably, the parties have undertaken not to pursue any increases in rates of pay until 1 July 2014 to allow for the operative date of future award increases to coincide with the commencement of the financial year and thereby assist councils with managing their budgetary requirements. One of the most significant changes is the new paid parental leave and related entitlements ie continued access to 9 weeks paid maternity leave or the option of using this leave to top up the 18 weeks Federal Government?s parental leave provision (commencing 1 January 2011) of $569.70 per week to the award wage for 18 weeks which includes the continued accrual of all leave entitlements and payment of superannuation for the 18 week period.
? thorough clarification of the circumstances regarding the use of term contracts. Breaches of the Award are likely to result in any or all of the following: loss of productivity, grievances, disputes, penalties and loss of reputation. The pay increase on 1 November 2010 was budgeted for. Likewise, future pay increases prescribed in the Award will be budgeted for. ITEM 9.3????? SF1504??????????? 200111???????? Compulsory Acquisition of Lot 10 253771 and Lot 561 DP 1133897 - Old RTA Depot Site Nambucca Heads. Council resolved in May 2010 to make application for the compulsory acquisition of Lot 10 DP 253771 and Lot 561 DP 1133897 being the old RTA depot site Nambucca Heads to conclude a long standing land swap agreement between the Department of Lands (now Land and Property Management Authority) and Nambucca Shire Council. The Department of Local Government has advised that the original resolution was deficient in so far as the resolution did not specifically authorise the application to the Governor and the Minister for Local Government. Council resolved also to write to the Land and Property Management Authority (LPMA) requesting that the previously agreed consideration for the land be waived in light of the protracted delays in finalising the land swap.? The LPMA has declined the request and made formal claim for compensation in the amount $30,000. 1????????? That Council apply to the Minister for Local Government and the Governor for approval to compulsory acquire Lot 10 DP 253771 and Lot 561 DP 1133897 for the purposes of light industrial development, commercial development of public service facilities for resale. 2????????? That Council agree to the claim for compensation, from Land and Property Management Authority, of $30,000. 3????????? That the funds required to complete the compulsory acquisition of Lot 10 DP 253771 and Lot 561 DP 1133897 be drawn from the Land Development Reserve. There are few options with respect to the acquisition.? The Agreement is long standing and the consideration for the land already transferred to the Department of Lands is by way of the acquisition of the above-mentioned lots. Council is a party to a long standing land swap Agreement with the Department of Lands. Council transferred its portion of land to the Department in 1987. The transfer of the Department?s land to Council was delayed pending determination of Aboriginal Land Claim 5723 by the Nambucca Local Aboriginal Land Council.? The claim has now been determined and the land, the subject of the Agreement, can now be acquired by Council. The Compulsory Acquisition process will be used to finalise the Transfer. The following paragraphs are reprinted from the previous report on the matter for Councillors reference. With regard to the Compulsory Acquisition process it is asserted that Native Title is extinguished pursuant to section 15 of the Native Title Act 1993 on the basis the construction of the concrete depot bays situated on the land constitute a ?category A past act? within the meaning of the Act.? The Department of Local Government has issued guidelines for the compulsory acquisition of land by Council which inter alia recommends that Council obtain a firm legal opinion from its legal advisor to the effect that Native Title is extinguished.? Staff will obtain legal advice in this regard prior to the lodgement of a Compulsory Acquisition application to the Department of Local Government. Prior correspondence pertaining to this matter indicates that it has always been Council?s intention to develop this site for community facilities.? It is pertinent to note that Council, in agreeing to the land exchange with the Department of Lands, relinquished land with commercial development potential vis a vis the industrial land within the Ken Howard Crescent Industrial Estate.? The presumption, therefore, is that the intention of the land swap was to perpetuate the commercial nature of the land holding.? On this basis, it is recommenced that the application note that the acquisition is for commercial development of a community services facility for re-sale purposes.? The facility potentially taking the form of a private health facility or preschool, for example. In the event that Council acquires land for resale and or exchange through the compulsory acquisition process Council must provide clear evidence to satisfy the Minister for Local Government that the acquisition is for a function that falls within Council?s powers under the law.? Council has, in its correspondence to the Minister for Lands and his Department, clearly and consistently indicated its desire from the beginning of this process to develop the land to provide for community facilities such as (health, preschool and or emergency services).? Acquisition for resale purposes does not compel Council to on-sell the land but does reserve for it the capacity to do so should it eventuate that on-sale is the most economical way to ensure the desired development of the site. A revised submission will be forwarded to the Department of Local Government highlighting the research compiled by the Planning Department which indicates a significant shortage of industrial land in the immediate Nambucca area. Whilst there are no specific plans at this stage it is considered prudent to ensure that there is an adequate supply of feasible land. should the proposed industrial land in the Valla area prove insufficient in the short term the development of the Nambucca land as light industrial would need to be the subject of a re zoning process. The proposed acquisition is to facilitate economic growth and development through the provision of feasible and accessible land. Department of Lands, Native Title Section. The recommendations do not give rise to any economic issues.? The value of the compensatory land is significant and to the extent that it may avoid Council acquiring other land for public purposes there will be a direct impact on future budgets if the compensatory land is not provided. The $30,.000 compensation will have to come from the Land Development Reserve. The old RTA Depot site has an area of 1.8 hectares and is well located on the entry to Nambucca Heads.? There will be development costs but there should be long term positive returns to the Property Development Reserve for the initial outlay. That the list of grant applications and their status to 4 January 2011 be received. Women?s Way Forum to celebrate efforts of women in Nambucca Shire, on International Women?s Day 8 March 2011. Relocation of 2NVR radio station to Tewinga Hall. The Museum Advisor, Ms Joan Kelly has now submitted her annual report for 2010. Museums and Galleries NSW have forwarded a new funding agreement for 2011.? Given the subsidy for the Advisor exceeds 50% of the cost; the cultural importance of our museums; the financial issues associated with their sustainability; and importantly the general support amongst volunteers for the program, it is recommended that Council participate in the program for a third year. 1??????? That the Annual Report on the Museum Advisor Program be received. 2??????? That Council enter into a new grant funding agreement for the Museum Advisor Program for ????????? 2011. Council has the option as to whether it participates in the Museum Advisor Program.? Council has participated in the Museum Advisor program for the past 2 years.? The program runs from November in the current year to October in the following year with Museum & Galleries NSW paying Council $9,000 towards the Advisor?s costs with Council contributing $6,000.? Under the program the Council is required to employ the Museum Advisor as a consultant to the Council for 20 days per year (generally spread as ten lots of 2 day visits) being two calendar days per month for ten months of the year.? A requirement of the funding agreement is that the Museum Advisor provides Council with an annual report on the outcomes of the program over the previous 12 month period. 2.???????? a combined project being the production of a mini-documentary for each museum using the theme of ?war? The annual report indicates the challenges of managing important cultural sites like museums with volunteers.? The museum volunteers are hard working but are also ageing and dwindling in number.? With reduced numbers, the loss of key Committee members can potentially affect the sustainability of the whole Museum.? Without the volunteers the operation of these Museums will come back to Council with the potential for increased costs through having to use paid staff.? The annual report deals with some of these personnel issues and for this reason is a confidential circularised document (doc no. 146/2011). The future of the program was the subject of discussion with volunteers and the Museum Advisor at a well attended end of year dinner on 22 October 2010.? There was enthusiastic support for a continuation of the Museum Advisor program amongst the volunteers present at the dinner. The Museums are important cultural sites being repositories of the Nambucca Valley?s history, particularly post 1788. The Museums are collectively a significant tourist attraction. There are risks that the Museums may not be sustainable with volunteer management and operation. The program is funded in the current budget.? Renewing the funding agreement will mean that Council has to commit $6,000 in its budget for 2011/2012. A letter from the Local Government and Shires Associations indicates that Ballina Shire Council contended that a temporary stockpile of 100,000m3 of soil and rock excavated as part of the Ballina Bypass was an extractive industry and therefore designated development requiring the lodgement of an environmental impact statement. The applicant subsequently appealed against the Council?s interpretation with the Court finding in favour of the applicant. The Council?s legal costs were $90,000.? The Associations have sought a contribution from Nambucca Shire Council of $404.73 towards the costs incurred by Ballina Shire Council. That the Local Government and Shires Associations be advised that Council has considered their request for legal assistance for Ballina Shire Council in the matter of SJ Connelly Pty Limited v Ballina Shire Council (2010) NSWLEC 128 and in the circumstances has decided against providing a contribution towards their legal costs. Council can make the requested contribution of $404.73. Council has received the attached request from the Local Government and Shires Associations on behalf of Ballina Shire Council. The letter from the Associations indicates that Ballina Shire Council contended that a temporary stockpile of 100,000m3 of soil and rock excavated as part of the Ballina Bypass was an extractive industry and therefore designated development requiring the lodgement of an environmental impact statement. The applicant subsequently appealed against the Council?s interpretation with the Court finding in favour of the applicant.? The Court held that the activity must be an ?industry? and it did not consider that the preparatory works and the maintenance of static stockpiles to be an industrial process. The Council?s legal costs were $90,000. The Associations have sought a contribution from Nambucca Shire Council of $404.73 towards the costs incurred by Ballina Shire Council on the basis that this was a test case in relation to the definition of ?extractive industry?. It would seem that the Court has confirmed the understanding of the word ?industry? and that $90,000 has been spent in arguing its definition (the judge ordered that Ballina Shire Council pay the applicant?s costs).? The letter from the Associations contends that the applicant did not enter into discussions with council in relation to the matter but rather made an application to the Court.? However the views of the applicant as to the circumstances of the appeal are unknown. Given the available information it is not recommended that Council make the requested contribution to Ballina Shire Council?s legal costs. The judgement has been read.? There has been no other consultation. The only risk relates to the possibility of this Council one day seeking similar legal assistance from other Councils. The recommendation has no budgetary impact. The report acknowledges the Minutes of the Annual General Meeting of the Unkya Reserve committee of Management and the new Committee.? Copies of the Minutes of this meeting and the financial statement are attached. That Council endorse the Minutes of the Committee of Management for the Unkya Reserve?s Annual General Meeting held on 12 September 2010 and thank the outgoing Committee for their work during the past twelve months. The Annual General Meeting of the Unkya Reserve?s Committee of Management was held on 12 September 2010. Committee???????????? Benita Schuh, Alex Pelser, Karina Daniels, Libby Foster. That Council endorse the Minutes of the Committee of Management for the Nambucca Valley Netball Association?s Annual General Meeting held on 9 November 2010 and thank the outgoing Committee for their work during the past twelve months. The Annual General Meeting of the Nambucca Valley Netball Association?s Committee of Management was held on Tuesday 9 November 2010. MINUTES OF A MEETING OF THE ANNUAL GENERAL MEETING OF THE NAMBUCCA VALLEY NETBALL ASSOCIATION HELD TUESDAY 9th NOVEMBER 2010, IN THE CALTEX GARAGE, MACKSVILLE. Mr Michael Coulter, Council?s General Manager, was present at the meeting as Council?s delegate.? The President welcomed Mr Coulter to the meeting. The President took the chair and opened the meeting at 6.30 pm. Michael Coulter, Melanie Angel, Judi Woodland, Jodi Crow, Lanice Milgate, Helen Black, Anne Peterkin, Vicki Wassens, Paula Buckley, Kelen Crawley and Vicki Coombes. MOVED J Woodland, seconded V Coombes that the minutes of the previous Annual General Meeting held on 3rd November 2009 as circularised be confirmed. MOVED K Crawley, seconded J Woodland that the Presidents Report (attached) be accepted. MOVED J Woodland, seconded V Wassens that the Treasurers report as tabled noting Income and Expenditure Statement for 1 October 2009 to 30 September 2010 and the Rep Account for the same period be accepted.? MOVED J Woodland, seconded V Wassens that the Canteen report as presented by Judi Woodland be accepted. Moved A Peterkin, seconded L Milgate that the Umpire Convenors report (attached) be accepted. Michael Coulter, General Manager, Nambucca Shire Council, took the chair and declared all positions vacant. Nominations were called for the position of President.? Melanie Angel was nominated by J Crow, seconded V Wassens.? No further nominations were received and after accepting the nomination, Melanie Angel was declared President. Nominations were called for the position of Vice-President.? Anne Peterkin declined nomination.? Lanice Milgate was nominated by J Woodland, seconded K Crawley.? No further nominations were received and after accepting the nomination, Lanice Milgate was declared Vice President. Nominations were called for the position of Secretary. Vicki Coombes was nominated by J Woodland, seconded A Peterkin.? No further nominations were received and after accepting the nomination, Vicki Coombes was declared Secretary. Nominations were called for the position of Treasurer.? Judi Woodland was nominated by J Crow and seconded L Milgate.? No further nominations were received and after accepting the nomination, Judi Woodland was declared Treasurer. Nominations were called for the position of Rep Secretary.? Jodi Crow was nominated by J Woodland, seconded V Wassens.? No further nominations were received and after accepting the nomination, Jodi Crow was declared Rep Secretary.? NOTED that Jodi Crow advised she would require assistance with this role. Nominations were called for the position of Umpires Convenor.? Vicki Coombes was nominated by V Wassens, seconded J Woodland.? No further nominations were accepted and after accepting the nomination, Vicki Coombes was declared Umpires Convenor. Nominations were called for the position of Coaching Convenor.? Helen Black was nominated by M Angel, seconded K Crawley.? No further nominations were accepted and after accepting the nomination, Helen Black was declared Coaching Convenor. Nominations were called for the position of Netta?s Convenor.? This position was not filled and it was decided that the position of Netta Convenor for 2009/2010 be deferred to a future meeting. Nominations were called for the position of Canteen Convenor.? This position was not filled and it was decided that the position of Canteen Convenor for 2009/2010 be deferred to a future meeting. Nominations were called for the position of Registrar.? Judi Woodland was nominated by M Angel, seconded H Black.? No further nominations were received and after accepting the nomination, Judi Woodland was declared Registrar. Nominations were called for the position of Match Secretary.? Judi Woodland was nominated by M Angel, seconded L Milgate.? No further nominations were received and after accepting the nomination, Judi Woodland was declared Match Secretary. Nominations were called for the position of Uniform Coordinator.? Paula Buckley was nominated J Woodland, seconded L Milgate.? No further nominations were received and after accepting the nomination, Pauld Buckley was declared Uniform Coordinator. Nominations were called for the position of Publicity Officer.? Kelen Crawley was nominated by V Wassens, seconded J Crow.? No further nominations were received and after accepting the nomination, Kelen Crawley was declared Publicity Officer. Note:? It was noted that the Department of Fair Trading website states that the position of Public Officer remains with the elected person until they resign or die therefore no election is necessary. Therefore Judi Woodland was declared Public Officer. Melanie Angel (President);? Lanice Milgate (Vice-President);? Vicki Coombes (Secretary);? and Judi Woodland (Treasurer). It was moved M Angel, seconded K Crawley that the Grounds Committee for 2010/2011 comprise the Executive Committee. Helen Black (Coaching Convenor), Mel Angel and Vicki Wassens. It was moved J Crow, seconded L Milgate that the MPIO position for 2010/2011 be held by Judi Woodland.? No further nominations were received and after accepting the nomination Judi Woodland was declared MPIO. It was moved V Coombes, seconded J Crow that Vicki Wassens, Vicki Coombes and any member of the Executive be nominated Regional Delegates. NOTED that it is no longer necessary to have Association book audited. It was moved J Woodland, seconded J Crow that the cheque signatories for 2010/2011 be any two (2) of the following persons:? Melanie Angel (President);? Lanice Milgate (Vice-President);? Judi Woodland (Treasurer);? or Vicki Coombes (Secretary).? Jodi Crow (Rep Secretary) on the Rep Account Cheque Book only with any one (1) of the above cheque signatories. It was moved M Angel, seconded V Coombes that the canteen cheque signatories for 2010/2011 be any two (2) of the following persons (Canteen Convenor) when appointed;? Melanie Angel (President), Lanice Milgare (Vice President), Judi Woodland (Treasurer) or Vicki Coombes (Secretary). There being no further business the Annual General Meeting closed at 7.10 pm. Note:? The Nambucca Valley Netball Association?s General Meeting immediately followed the conclusion of the Annual General Meeting. The report acknowledges the Minutes of the Annual General Meeting of the Utungun Community Centre?s Committee of Management and the new Committee.? Copies of the Minutes of this meeting and the financial statement area attached. That Council endorse the Minutes of the committee of Management for the Utungun Community Centre?s Annual General Meeting held on 8 November 2010 and thank the outgoing Committee for their work during the past twelve months. The Annual General Meeting of the Utungun Community Centre was held on 8 November 2010. There was no consultation in regard to this report. There are no direct or indirect impacts on current and future budgets. The report acknowledges the Annual General Meeting of the Taylors Arm Hall Committee of Management and the new Committee.? A copy of the minutes of this meeting is attached. That Council endorse the Committee of Management for the Taylors Arm Hall and thank the outgoing Committee for their work in the past twelve months. The AGM of the Taylors Arm Hall Committee of Management was held on Friday 3 December 2010. There is no implication for working funds. The total increase in RFS contributions across all councils is over $4.6 million, increasing from around $25.3m in 2009/2010 to $30.1 million for 2010/11, an increase of 18.9%. According to the RFS, a large proportion of the increase is the result of the NSW Government?s response to the findings of the Victorian Bushfires Royal Commission. Because of the complex and localised RFS budgetary process there are wide variations between councils.? Some have exceptionally high increases, while some actually have decreases and the remainder are in between.? Variations range from increases of over 100% down to reductions of 25%.? This Council was advised of its required contribution of $215,616.38 on 14 December 2010 which was an increase of $55,523.88 or 35% on the $160,092.50 contribution in 2009/2010. That the information concerning the representations by the Local Government and Shires Associations into the emergency services contributions for 2010/2011 be received. There are no real options.? Council has already made representations to the RFS in regard to the estimates for the rural fire fighting fund for 2011/2012 which proposed a further large increase in funding of 31%.? The Associations have been following up the concerns raised by constituent Councils regarding the 2010/2011 Emergency Services Contributions and on 7 January 2011 forwarded advice concerning the outcome of their investigations. 1.?? The total increase in RFS contributions across all councils is over $4.6 million, increasing from around $25.3m in 2009/2010 to $30.1 million for 2010/11, an increase of 18.9%. 2.?? According to the RFS, a large proportion of the increase is the result of the NSW Government?s response to the findings of the Victorian Bushfires Royal Commission. 3.?? Because of the complex and localised RFS budgetary process there are wide variations between councils.? Some have exceptionally high increases, while some actually have decreases and the remainder are in between.? Variations range from increases of over 100% down to reductions of 25%.? (This Council was advised of its required contribution of $215,616.38 on 14 December 2010 which was an increase of $55,523.88 or 35% on the $160,092.50 contribution in 2009/2010). 4.?? There appear to be numerous anomalies, discrepancies and inequities. 5.?? Final RFS budget allocations to councils were not advised to councils until mid December 2010, half way through the financial year.? Sign off was delayed pending determination of the government?s response to the findings of the Victorian Bush Fires Royal Commission. 6.?? The average increase of 18.9% was much higher than could have been reasonably anticipated and many individual council increases are beyond comprehension. 7.?? Late advice and scale of increases means that they were not factored into council budgets.? Increases will have a severe impact on many council budgets necessitating cuts in other areas. 8.?? There was a lack of consultation on the levels of increase. 9.?? It represents a major cost shift onto Local Government. 10.? The situation highlights the need for the current anomalous RFS/Emergency services funding arrangements to be scrapped and replaced with a broad based property levy as advocated by the LGSA.? Such systems work effectively in other states such as Queensland, SA and WA. The Associations have sought urgent meetings with the RFS Commissioner; the office of the Minister for Emergency Services, Steve Whan; and the Opposition Shadow Minister for Emergency Services, Melinda Pavey.? All three have agreed to meet with the Associations. The Associations will provide further information as it comes to hand. According to the RFS, a large proportion of the increase is in response to risks identified in the Victorian Bush Fires Royal Commission. The 2010/11 budget incorporated the RFS ?bid? for 2010/2011 of $210,600 which is slightly less than the final, recently advised figure of $215,616. There will be a relatively minor negative impact on Council?s working funds of $5,000 being the difference between the estimate and final determination. The Healthy Communities Initiative (HCI) is a grant program of the Commonwealth?s Department of Health and Ageing (DOHA), open only to local governments for funding to deliver a range of programs to improve the health and wellbeing of residents. Eight grants will be made in NSW, each grant providing approximately $700,000 over 27 months to successful local government areas. Funding will cover all costs of program delivery as well as provide for the employment of a coordinator within the Nambucca Shire Council. Grant applications close on 4 February 2011. ?????? people with a disability. The Nambucca Shire has a higher proportion against the State average of older Australians (23% as opposed to 13.9%), and Aboriginal and Torres Strait Islanders (6.1% as opposed to 2%). According to information provided by North Coast Area Health Service (NCAHS), Nambucca Shire has significantly higher levels of high body mass attributable hospitalisations in 2006/7 and 2007/8 than the NSW average. The NCAHS estimates that 28.6% of males and 19.3% of females (18 years and over) in the Nambucca Shire are obese. There are estimated to be 2507 (males) and 1839 (females) who are overweight in the Shire. See below for definitions of ?obesity? and ?overweight?. That Council endorse a grant application being made to the Commonwealth Department of Health and Ageing?s Healthy Communities Initiative. That Council decide not to make an application to the HCI. The Australian Government?s Department of Health and Ageing is delivering the Healthy Communities Initiative in two rounds over four years to address the rising prevalence of lifestyle related chronic disease. The funding is intended to support local government areas (LGAs) in delivering effective community based physical activity and healthy eating programs as well as developing a range of local government policy environments to support healthy lifestyle behaviours. ?????? Council expenses in managing and administering the program. The healthy lifestyle programs would not be delivered by Council, but by independent providers such as trainers or health professionals. Council?s role would be through hosting the Coordinator, who would? be responsible for the ?purchase? and coordination of the delivery of the programs, coordination of marketing and evaluation, overseeing the installation of infrastructure (outdoor exercise stations), and other activities as determined by the programs put forward in the grant application.? An example of a program that could be delivered to the target group of older Australians is ?Lift for Life? a light weight lifting class specifically designed for seniors. Recruitment would be through existing social service referrals, GPs, or the Safe and Savvy Senior contacts that have been developed through the program being run by the Nambucca Shire. Baseline data, such as weight and fitness levels would be collected and participants would attend three eight-week phases. Monitoring of the baseline data would occur throughout the course, giving organisers the ability to see whether weight loss targets are being met.?? This program would run concurrently with other programs for other target groups, for example long-term unemployed people who are overweight or obese would benefit from participating in HEAL, a lifestyle education and physical activity program. Recruitment could occur through local employment organisations such as Nortec or Novaskill. Participants would attend eight two-hour sessions run on a continuous cycle. An initial assessment of each participant is done, then they join the program at any week, continuing for eight consecutive weeks. Each week consists of a one-hour lifestyle education session and a one-hour exercise session. Again, baseline data and improvement over time would be tracked. The actual Healthy Communities program which will be put forward in the grant application is still under development at the time of writing this report and is dependent on information provided by ongoing consultation with key stakeholders. The Nambucca Shire?s Healthy Communities program would be comprised of a period of consultation and planning, followed by delivery of programs to each of the key client groups depending on their specific requirements, then evaluation toward the end of the grant period. The World Health Organisation (WHO) defines overweight and obesity as abnormal or excessive fat accumulation that may impair health. Body mass index (BMI) is a simple index of weight-for-height that is used in classifying overweight and obesity and is defined as the weight in kilograms divided by the square of the height in meters (kg/m2). WHO defines "overweight" as a BMI equal to or more than 25, and "obesity" as a BMI equal to or more than thirty (30). The amount of money available through the grant is quite large ($703,607) and the Nambucca Shire is relatively small in terms of population; the amount of the grant might be more than what the Shire needs to deliver health programs to this population. Also, such a large amount of money injected into a small community for a short time (27 months) could lead to community disappointment when the money is no longer available to subsidise access to healthy activity programs. To address this issue, it could be a role of the Healthy Communities Coordinator to try to establish long-term funding support for the program before the end of the grant period. The purchase and installation of outdoor exercise equipment is possible through the grant, however once installed the maintenance of these exercise stations will become the responsibility of the Nambucca Shire Council; Council must be prepared for meeting these ongoing maintenance costs, which are expected to be minor. There is another round of funding to be offered from October 2011 to June 2013 (21 months). If the Shire Council is unsuccessful in this current round, another application could be submitted for that round. Initial discussions have been held with the North Coast Area Health Services Community Health Manager and Project Officer, the General Manager Nambucca Valley Council of Social Services, and a number of potential program providers such as the Macksville Memorial Aquatic Centre. Discussions have also been held with the Mid-North Coast Division of General Practice; the application requires a letter of support from this organisation and at project officer level there is currently much support for Nambucca Shire Council applying for the grant. Other local government areas that are in the pilot program for the initiative have also been consulted (Fairfield City Council and the Shire of Derby West Kimberley) and this information will be used in designing the Nambucca Shire program if applicable. Internal consultations have been held with the General Manager, Director Environment and Planning and the Community Development Officer. The delivery of the program in the Nambucca Shire is expected to improve the quality of life of the residents, through decreasing the incidence of chronic disease such as diabetes and other illnesses associated with overweight and obesity. This outcome has secondary benefits such as reducing the reliance on health care providers to treat illnesses which are avoidable through better eating habits and more physical activity. The Aboriginal population in particular would be a key beneficiary of the program. Local health professionals such as physical activity trainers will be contracted to deliver the programs; where they lack accreditation for certain programs, the grant funds may be used to subsidise their training.? 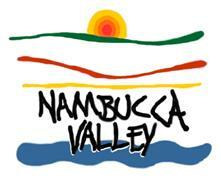 The grant will also create one casual position (HCI Coordinator) within the Nambucca Shire Council. The success of the program would rely heavily on the abilities of the Healthy Communities Coordinator, who would be hired by Council to deliver the program. There is a risk that the position could not be filled by a person with the right qualifications, and a risk that the Coordinator may leave the position before the delivery of the program is completed, thus requiring an additional filling process. The program would begin in April 2011 and run through June 2013. As the program is totally self-funded, with provision for meeting Council?s administration and on-costs, there will be no direct or indirect impact on current and future budgets for the period of the grant. The outdoor exercise stations, if installed, will require ongoing maintenance by Nambucca Shire Council, however this equipment is very robust and these stations are to be placed in areas already maintained by the Shire Council, so this additional maintenance is expected to be minimal. The total return on investments from 1st July to 31 December 2010 is $835,871.13. During December, Term Deposit interest rates ranged from 5.70% for 30 days and up to 6.60% for 12 months. Council placed five Term Deposits during the month between 181 and 364 days with interest rates from 6.25% to 6.60%. With the Managed Funds, Macquarie Income Plus (with a balance of $4,260,082) returned a positive return of $31,197, Blackrock (balance $350,410) returned $4,106 & TCorp, (Long Term Growth Trust) returned $16,377. Council currently has $9.05 Million with Managed Funds with the balance of $24.00 Million on term deposits. This report details all the investments placed during December and Council funds invested as at 31 December 2010. That the Accountants? Report on Investments placed to 31 December 2010 be noted. This report details all the investments placed during December 2010 and Council funds invested as at 31 December 2010. ????????? Investments Matured & Interest & Returns 1 to 31 December 2010. A review of budgeted interest returns for 2010/2011 will be completed with the December Budget Review and GPG Research & Advisory will provide Council with the updated interest rates. Interest on investments will be assessed with the December 2010 Budget Review.? Variances have not been distributed between the Water, Sewerage and General Funds for the first quarter of the financial year. DA to be determined by JRPP, Briefing report for a future GPC meeting. Issues being dealt with in assessment of application. To be determined by the end of January 2011.
? If using laneway issues with sealing, drainage, etc to be considered.